By now, dear reader, you’re probably familiar with the controversy surrounding Chicago archbishop Francis George’s remarks comparing the LGBT community to the Ku Klux Klan and the backlash the inflammatory comments have provoked, including TWO’s petition calling on the Cardinal to hand in an early resignation to Pope Benedict XVI and the full-page ad with the same message that we’re placing in this Sunday’s Chicago Tribune. However, you may not know that the Cardinal George controversy also touches my hometown of Green Bay, Wisconsin. Days before George’s incendiary remarks came out, St. Norbert College — a private Catholic college located in De Pere, a Green Bay suburb — announced that the Cardinal would be the speaker at its spring commencement exercises next May. A “concerned student” started a Change.org petition asking the school’s administration to rescind Cardinal George’s speaking invitation. The college has thus far refused to do so, and the story has attracted quite a bit of attention in the Green Bay area. 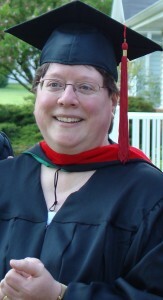 Now here’s where I’m going to do a little bit of shameless bragging: my mother Michele is an alumna of St. Norbert College, holding the master’s degree in theological studies. As I’ve mentioned before, she also happens to be an outspoken advocate for LGBT equality in her family, in religious traditions including her Catholic Church, and in the greater Green Bay community. She even got a dedicated group of LGBTs and allies together to form the Adult Gay-Straight Alliance of Green Bay. So naturally, when a local television station was compiling a report on this story, they turned to her. So now I present to you my mother, Michele Becker — a Catholic mom for LGBT equality — in her first media appearance as an activist. I couldn’t be prouder to call this amazing woman my mom.